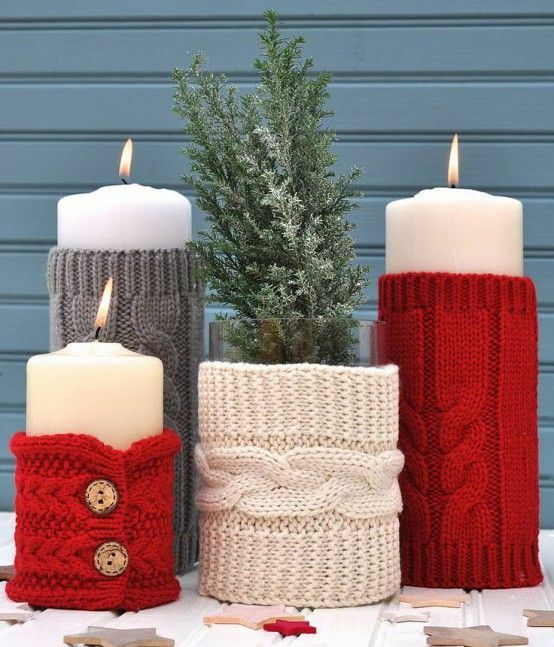 Knit pieces are right what we need for winter, both to wear and to decorate because they bring warmth and coziness. 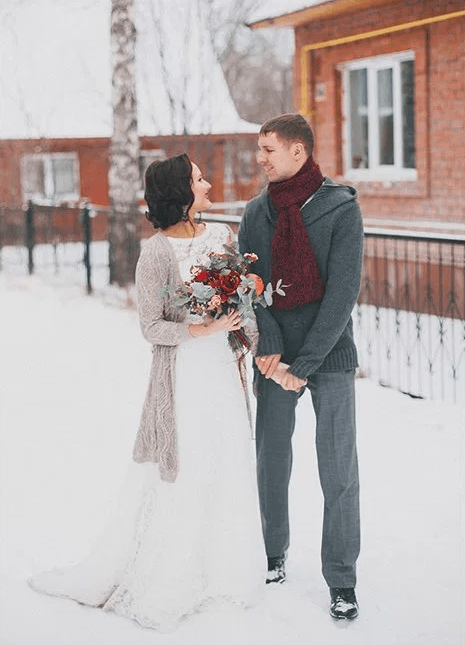 What’s good about them – you can make them yourself, so they will be budget-friendly and you can customize them as you like. 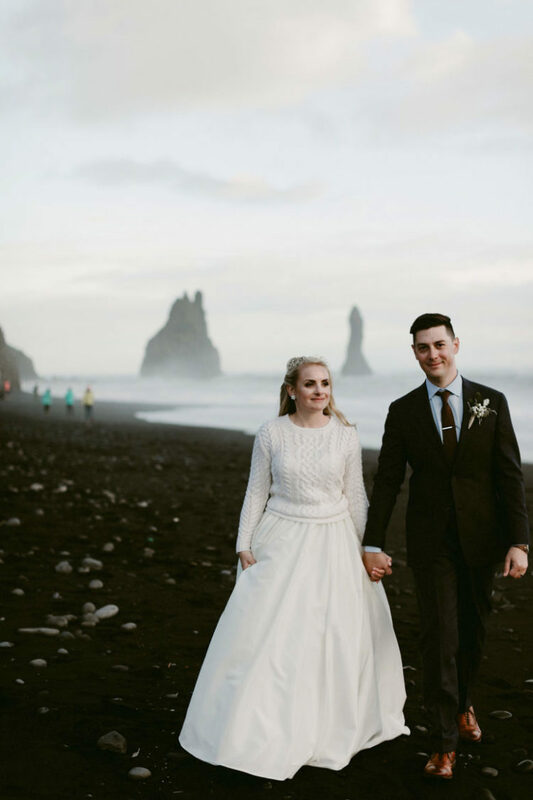 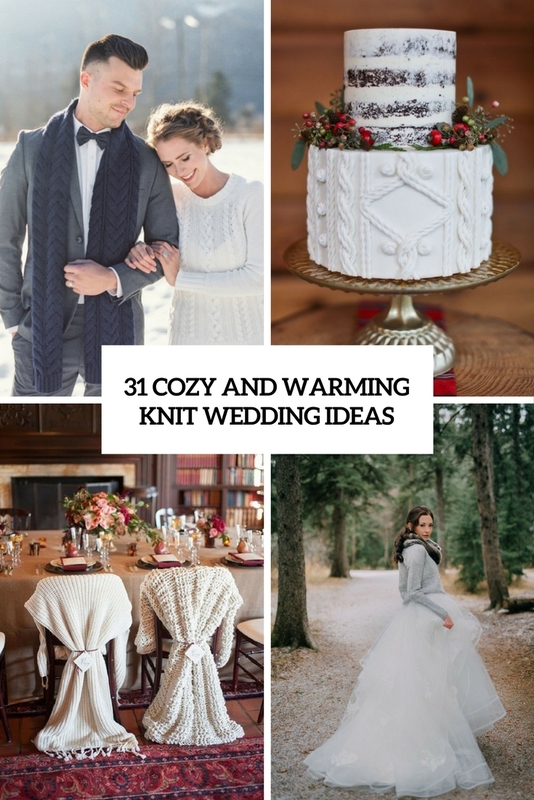 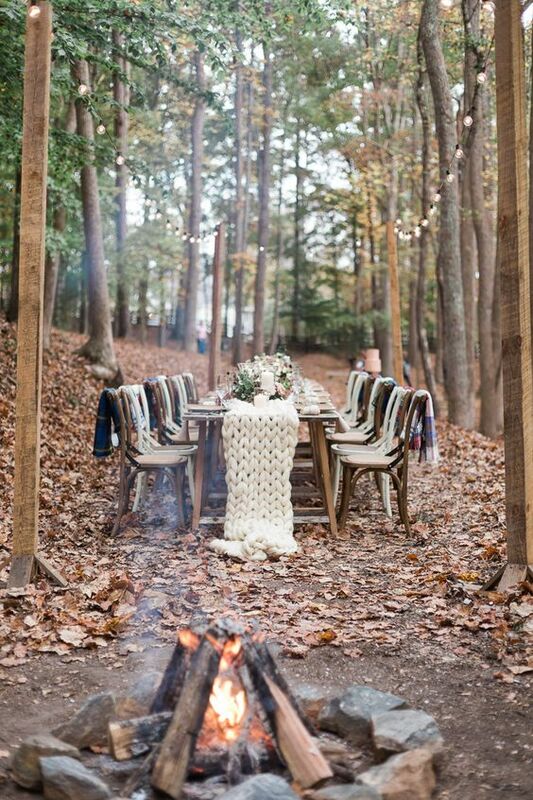 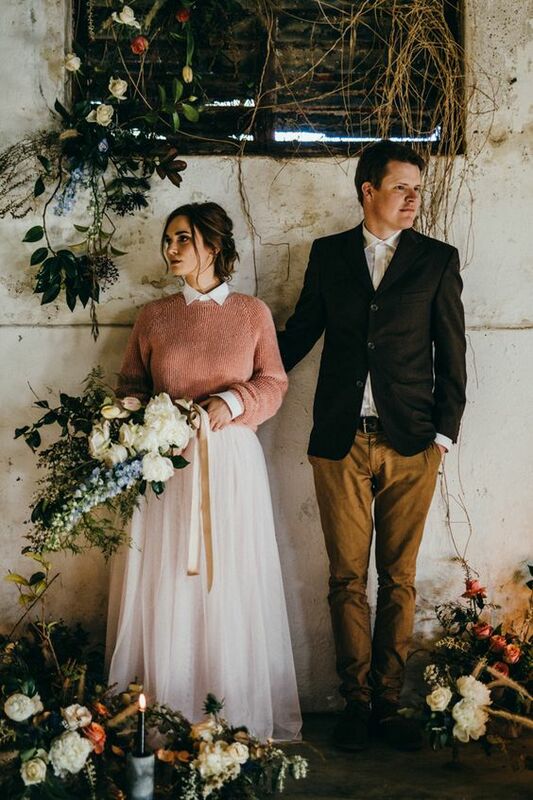 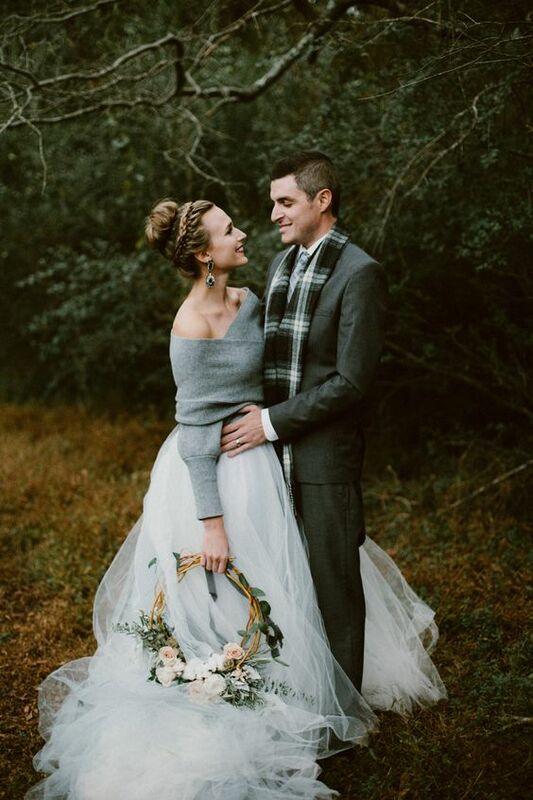 Today we’ve gathered all the coolest ideas to incorporate knit pieces into your wedding decor and attire, let’s have a look. 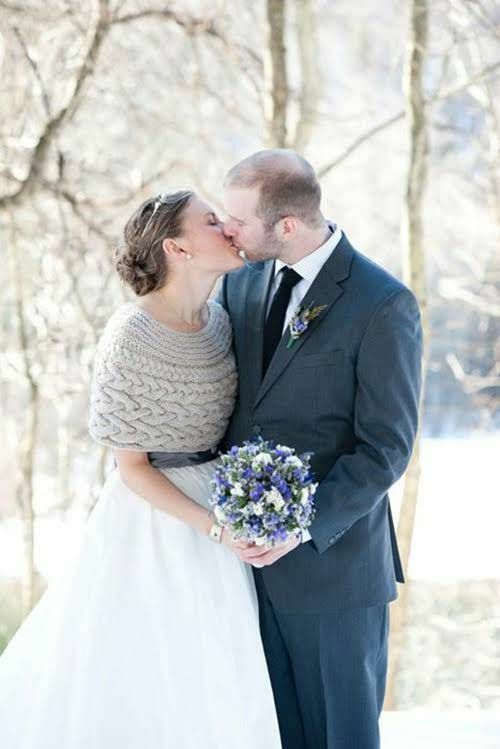 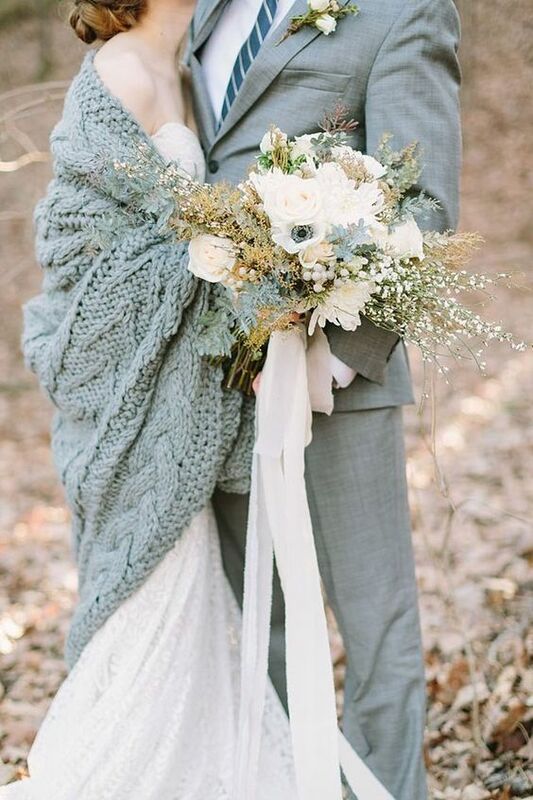 Coverups are a must for winter brides because it’s mostly chilly or even cold and snowy outside. 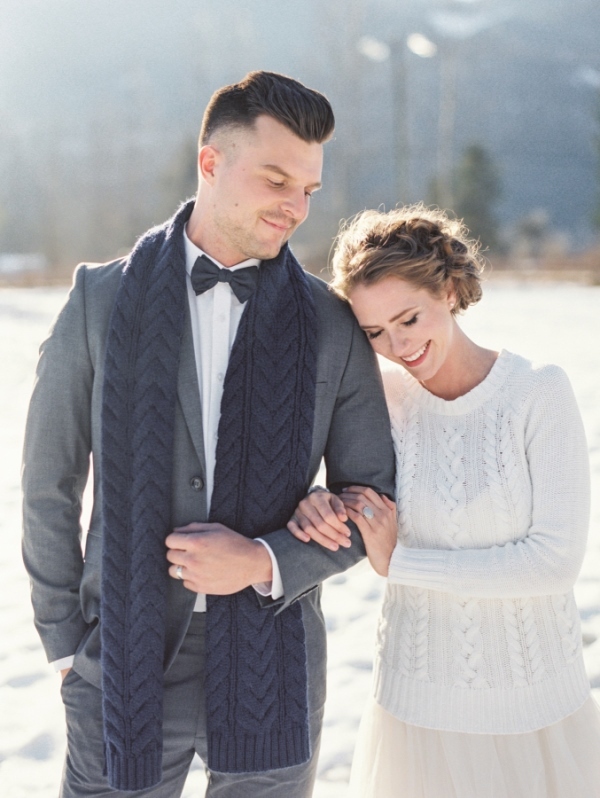 Faux fur is a popular idea but you can add a cozy feel to your look with knit items – a knit scarf, sweater, cardigan, shawl or cape. 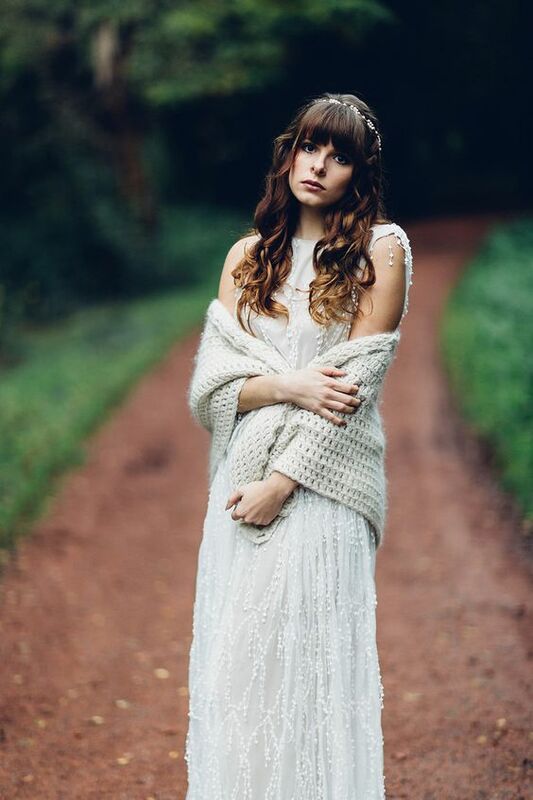 If you need a soft and girlish look, go for a neutral sweater over your dress and you’ll look chic. 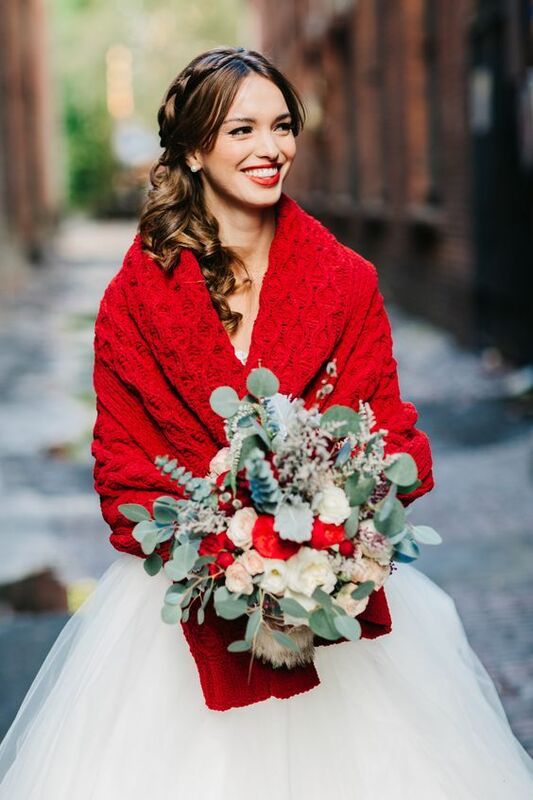 If you want to make a statement, rock a bold and colorful knit coverup in the shades that fir your wedding color scheme. 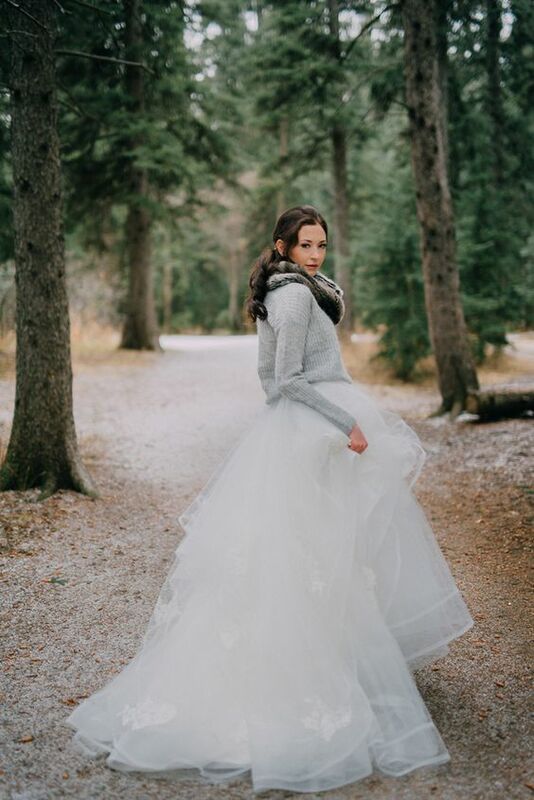 A trendy idea is an off the shoulder sweater of a different shade – it will give you warmth and a feminine feel. 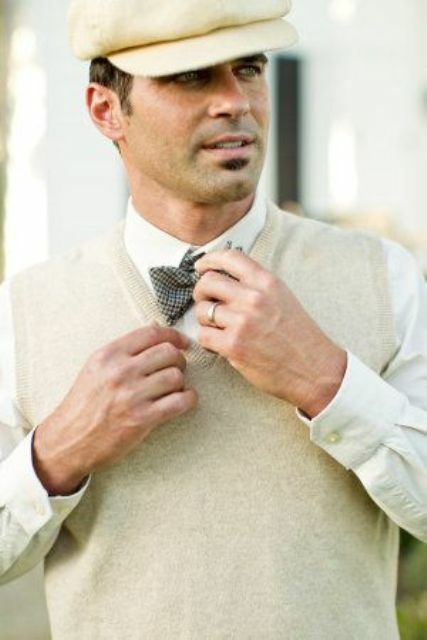 A knit cardigan is another great and comfy idea you can try – rock it with cable knit or traditional Scandi patterns. 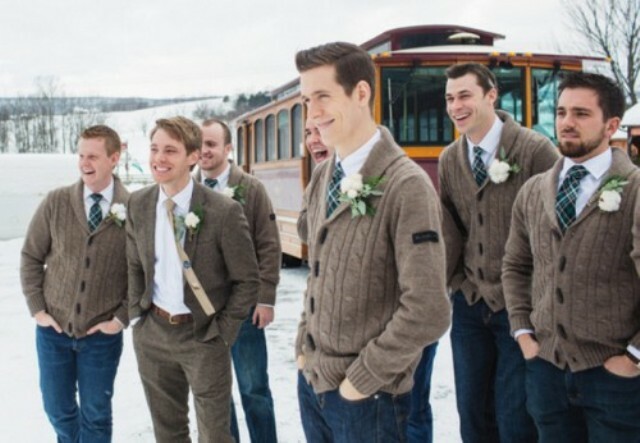 Grooms and groomsmen can wear comfy knit cardigans or sweaters that match the bridal look, they can be of the same color or pattern. 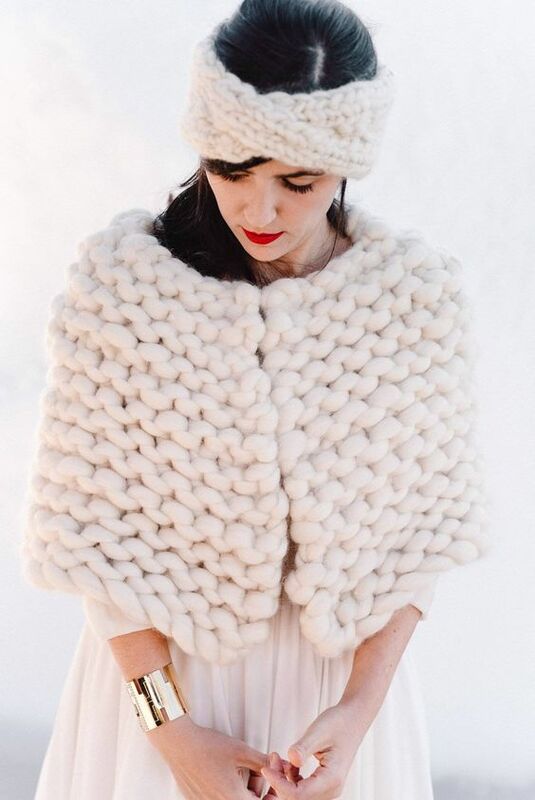 It’s a nice alternative to a jacket to feel warmer. 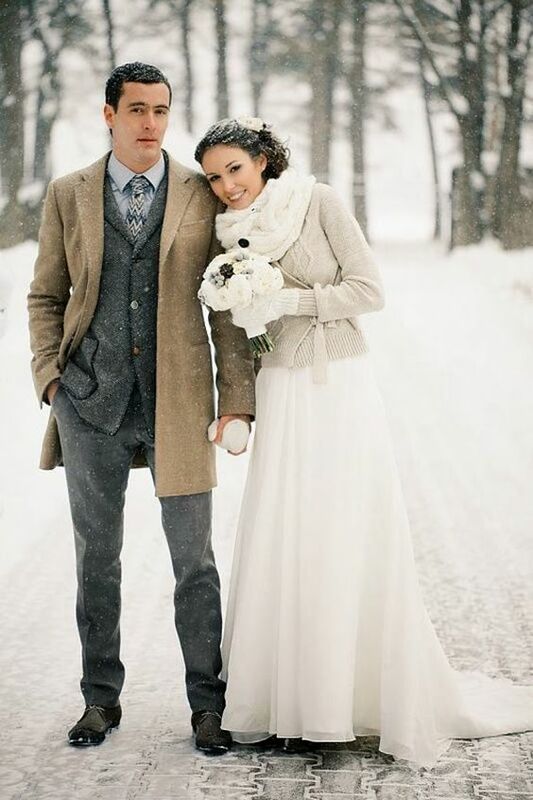 You can also go for a knit scarf or vest under the jacket – comfy and chic! 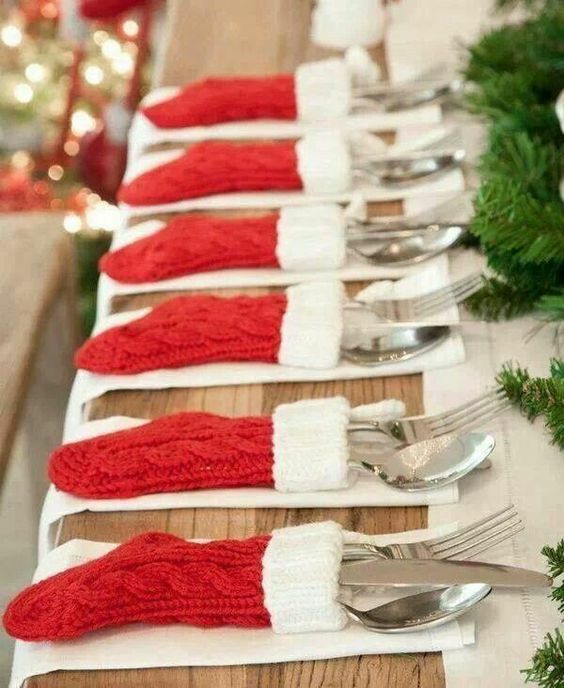 Adding knit pieces to your wedding decor is easy: rock stockings as utensil pockets, candle and vase covers, chair covers for more comfort. 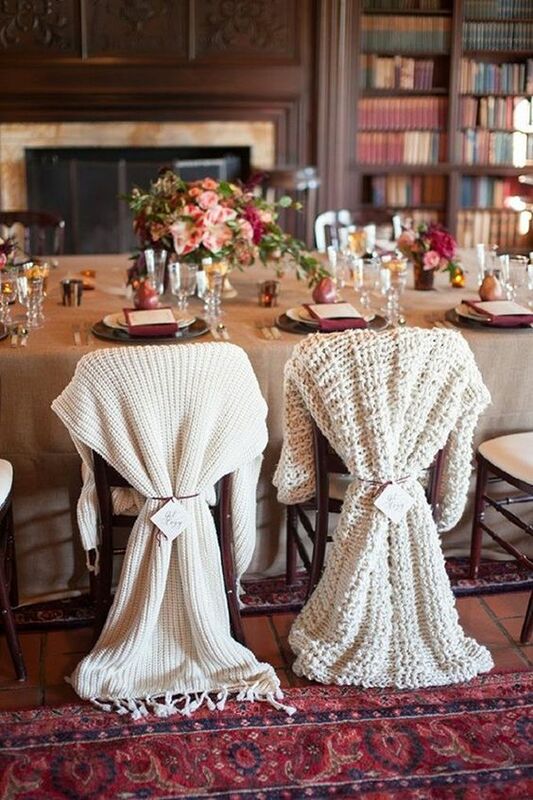 A chunky knit table runner is a perfect idea for any winter wedding – make it yourself to fit your decor. 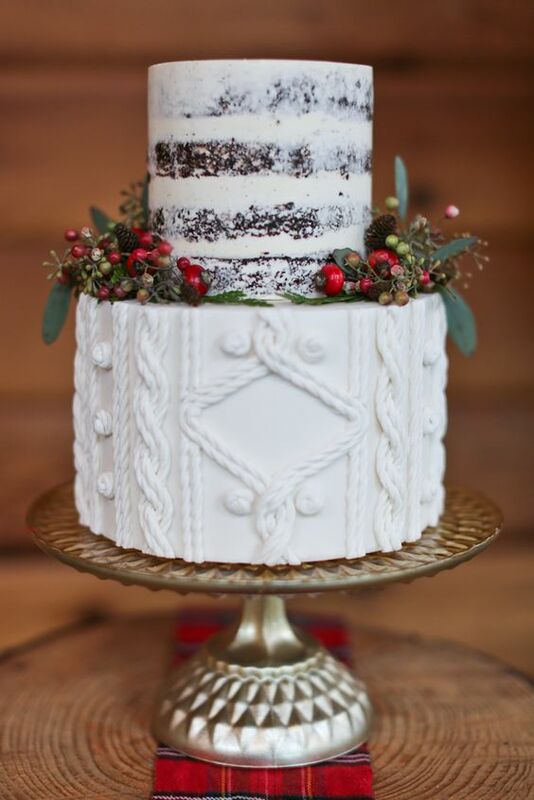 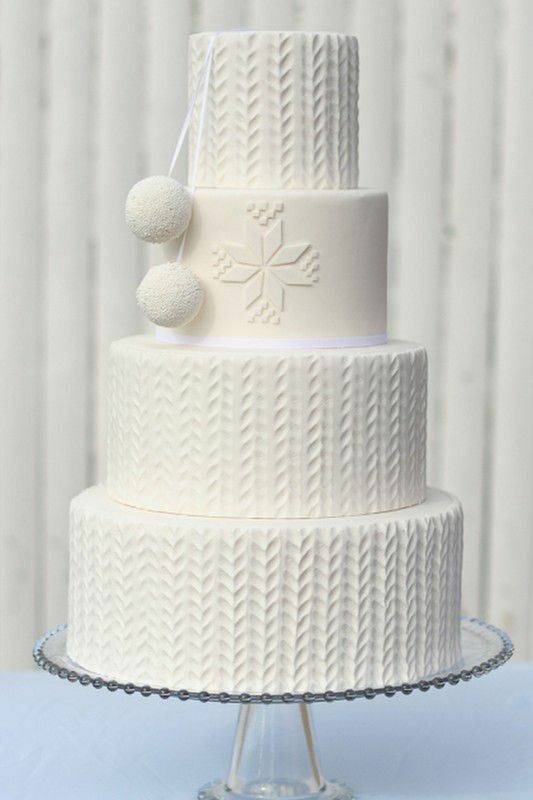 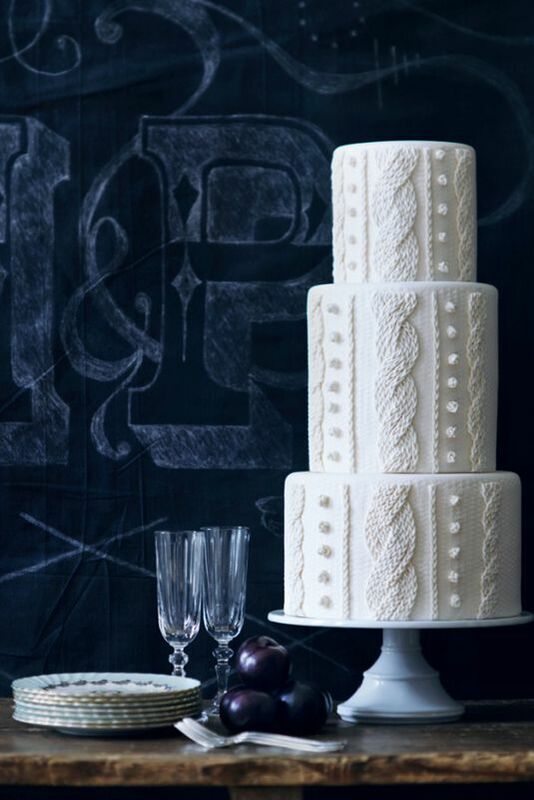 There’s a trend – knit pattern wedding cakes, they look just wow! 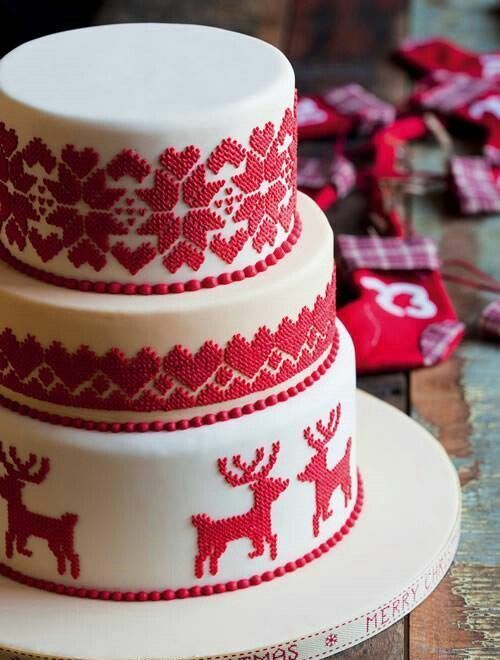 Such cakes are usually white, with various edible patterns that remind of sweater ones. 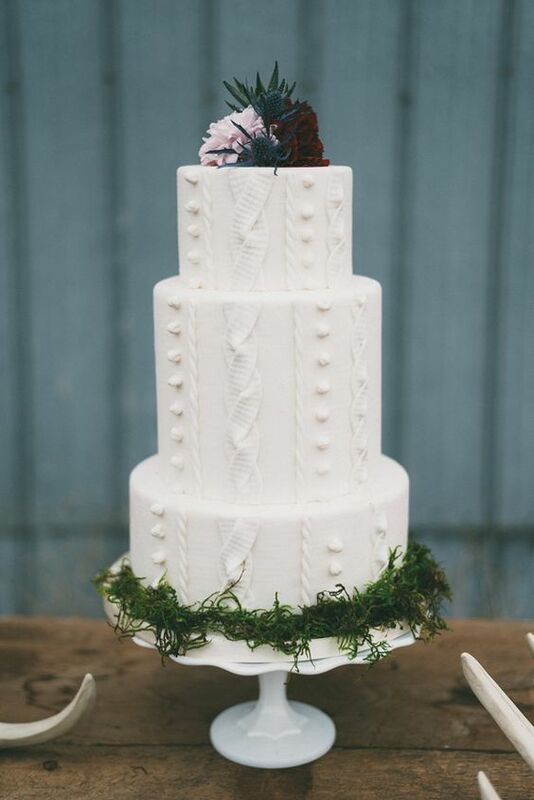 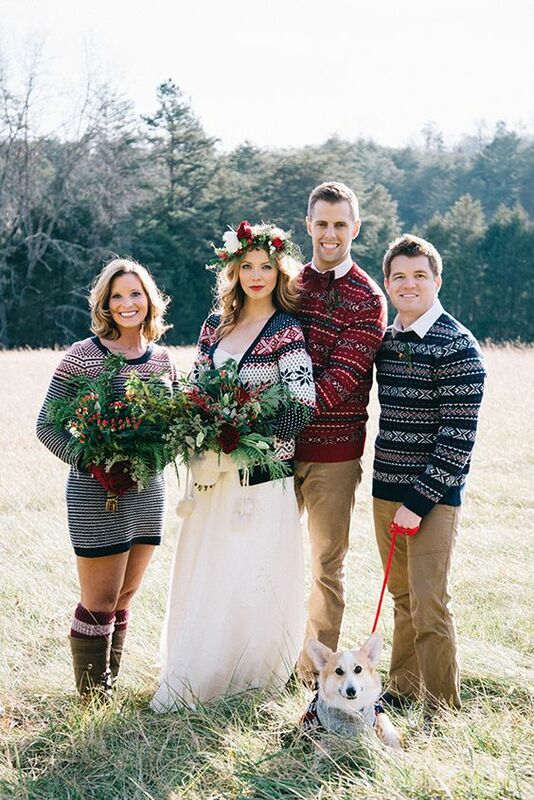 You can also go for a partly sweater, partly naked wedding cake to make it even trendier.